A Supreme Court bench headed by Chief Justice H.L. Dattu issued notices to the Election Commission (EC) and the Centre, ordering them to make sure that adequate steps are taken to allow NRIs to cast their votes. According to the Bench, Election Commission's suggestion to extend voting rights to NRIs through postal ballots has to be accepted in letter and spirit. 4 weeks time has been granted to the Centre to inform the Court about the steps it had taken to implement Election Commission's suggestions in this regard. The order was passed on the contention of the Centre about the feasibility of allowing NRIs' voting rights during elections. Late last month, India’s External Affairs Minister Sushma Swaraj had assured Non-Residential Indians that they may soon get voting rights as the Election Commission was working on it. Earlier in November, the Supreme Court had urged the Centre to make its stand clear on the issue, after taking on record the Report of the Committee constituted by the Election Commission of India for Exploring Feasibility of Alternative Options for Voting by Overseas Electors. 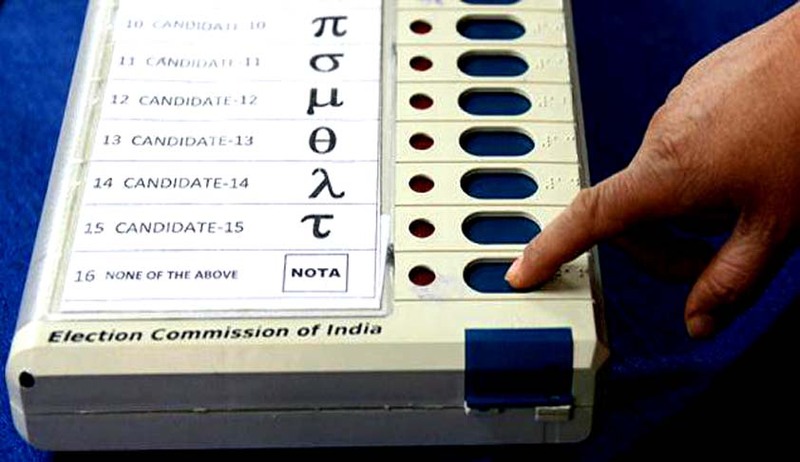 "The committee is of the view that e-postal ballot, where blank postal ballot is transferred electronically to NRIs and returned by post, can be employed after validation of the process and pilot implementation in one or two constituencies and then be scaled up for parliamentary elections if found feasible, practicable and meeting the objectives of free and fair elections," said the report given to the SC. Seeking the reading down of section 20A of the Representation of People (Amendment) Act, 2010, that mandates the presence of the voter at the polling station to cast his vote, the petitioner Dr. Shamsheer V.P. said: “If the relief sought is granted, then a total number of 1, 00, 37,761 people will be entitled to cast their votes as against a paltry 11,000 who have registered” at present. It was also contended that current law which requires the physical presence of a voter brings home a huge amount of inequality among the different classes of migrant population. It is not actually possible for all NRI voters who wish to cast their vote to travel all the way back to India. This is a clear violation of Article 14 of Article 19(1) and Article 21 of the Constitution of India.